Ocean warming is threatening coral reefs globally. Whenever sea temperatures rise in an area, coral reefs degrade. However, a new study has found that corals at or near the equator are less affected than corals elsewhere. The findings from Florida Institute of Technology were published March 20 in the journal Nature Communications. The authors analysed field observations from a 20-year global survey of over 3,500 coral study sites led by Reef Check founder and former director Gregor Hodgson. Geographically, the highest probability of coral bleaching occurred 15–20 degrees north and south of the Equator, despite similar thermal stress levels at equatorial sites. Reef Check’s citizen science divers work hard to survey reefs all over the world so that we have the data we need to understand our reefs and make effective management decisions in a changing planet,” said Jan Freiwald, Reef Check’s executive director. 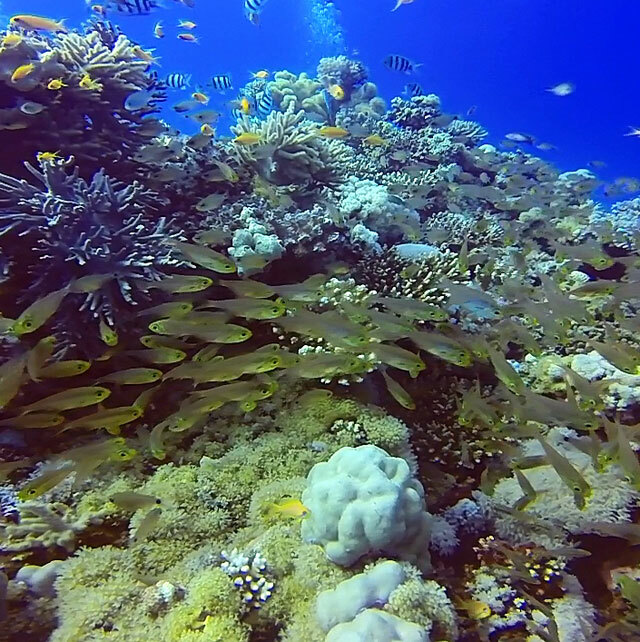 Coral reefs are the world’s most diverse marine ecosystems. They provide billions of dollars in economic value through coastal protection, food, tourism and pharmaceuticals from the sea. Rapid increases in sea surface temperatures are increasing the frequency and intensity of coral bleaching events, during which corals lose their endosymbiotic algae ? a primary energy source for most reef corals. Coral bleaching can cause coral morbidity and mortality, which leads to losses of coral cover, dramatic changes to coral community composition and even rapid reorganisation of coral-reef-fish communities. The 2014–2017 global coral-bleaching event, the third in the last 20 years, killed corals and other reef organisms over thousands of square kilometres. Which reef life communities are most vulnerable to global warming?